I was provided with a Toyota Avalon and Tickets to Blue Man Group to facilitate this post. All opinions are my own. Orlando, and the surrounding areas have quite a few fun attractions. Whenever I told somebody we were going to Orlando for vacation, they generally asked one of two questions: “Are You Going To Disney?” or “Are You Going to Wizarding World Of Harry Potter?”. While the answer to one of these questions was “yes”, it wasn’t the main reason we were heading across the country. 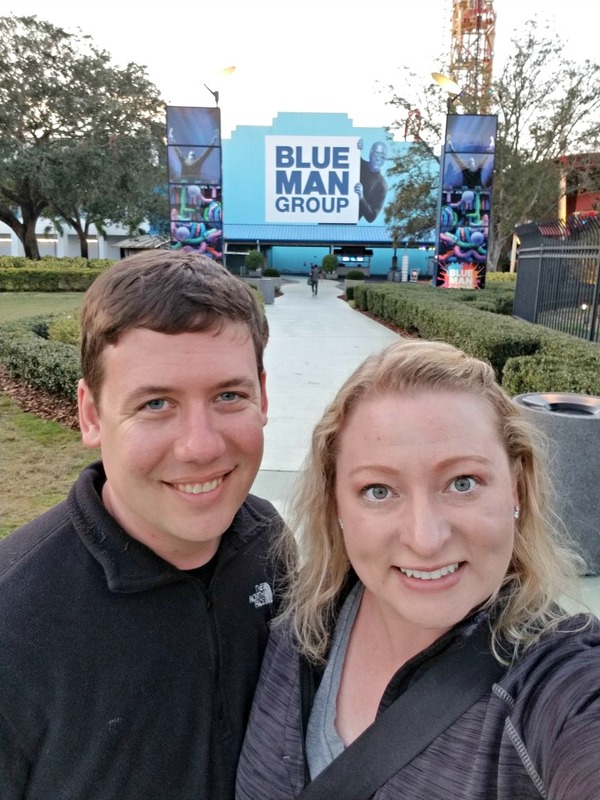 Brad and I travel to Orlando pretty often, this is generally because it is somewhere we can get some heat and sunshine during the middle of winter while still using our Delta Companion Ticket. 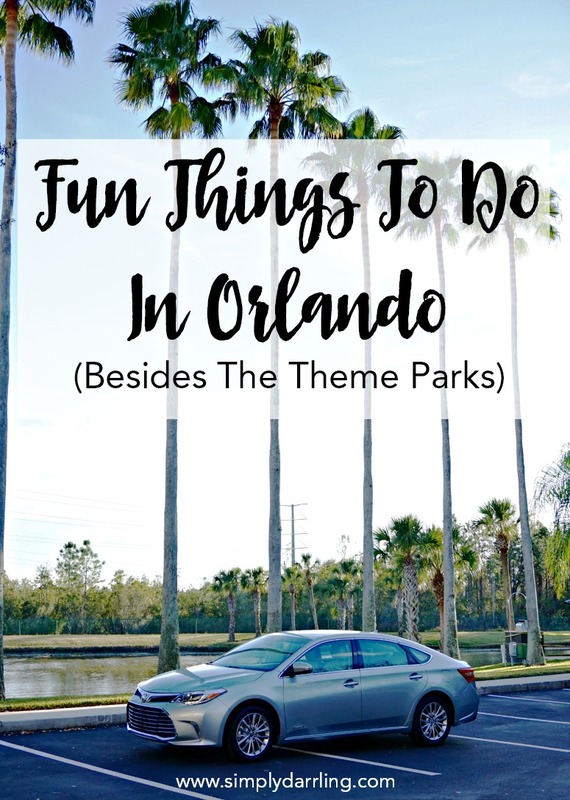 Over the years, we have visited the main theme parks of Orlando, but we have also discovered other fun things to do in the area. In fact, we have even visited a couple times where we didn’t go to ANY of the major theme parks. Not all of the activities below are in Orlando proper, but they are all within a couple hours driving distance of the city. I have done all of these activities and recommend them if you are looking for something to do. 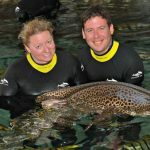 Swim With Manatees At Crystal River: This was something on my wish list for a while. Brad and I had signed up to do this originally in 2009; however, it was canceled that morning because of small craft advisory out on the water. 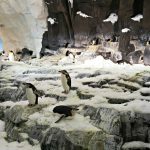 When we booked this most recent trip, I knew that I wanted to add it into our itinerary. 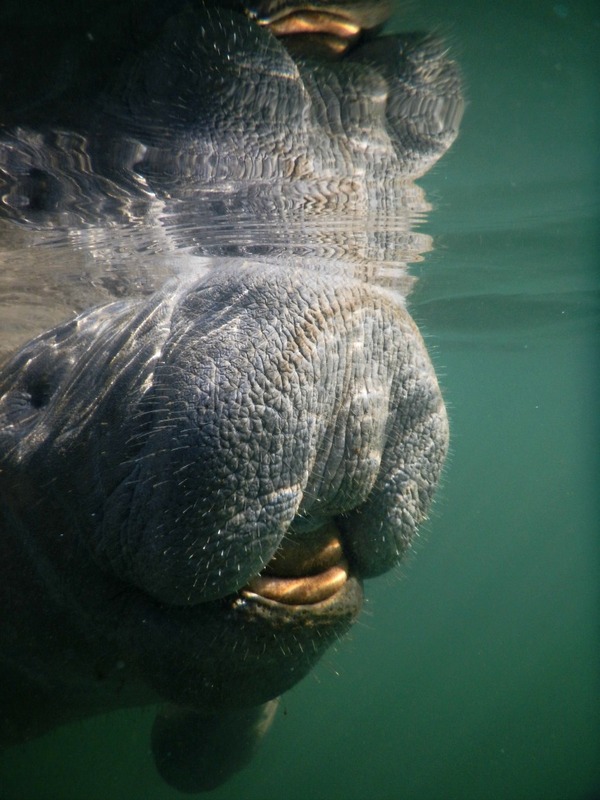 Winter is a great time because the manatees come in from the Gulf to get warm. I recommend booking the earliest boat trip available. We did the trip at 10:30; and there were far fewer manatees out than during the 7:30 trip according to our captain. 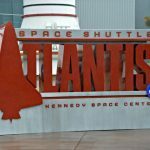 Kennedy Space Center: This was on our itinerary last year; and it almost got added again this year (I was stalking the website to see if there was going to be a launch while we were in town). Kennedy Space Center features so much history, and has a range of activities for all ages. When we went last year with Jaxson, he enjoyed the day just as much as the adults in attendance. The Space Shuttle Exhibit is absolutely stunning as well and something that was super cool to witness up close. Cocoa Beach Orlando is in the middle of Florida so if you want to visit the Ocean, you have to drive out to the coast. Cocoa Beach offers beach access, cute shopping, and is only about an hour and a half drive from Orlando. Blue Man Group Show: Brad and I attended a Blue Man Group show in Las Vegas back in 2011, but we’ve been wanting to check it out in Orlando as well. The entire show is upbeat and entertaining; plus if you sit in the “poncho section” you might bring a bit of the show home with you. The entire show is engaging and throughout the show, the performers will come into the audience to engage and gather volunteers. My favorite part of the show was towards the end when the audience really got involved in a Dance Party. I won’t give up too many spoilers, but this dance party also involves giant glowing balls floating across the audience. The show is open for ages 3+; however, I’d recommend a bit older than that for them to really enjoy the show, especially since there is no intermission for bathroom breaks. iFly This past year Brad and I have done iFly a couple times here in Seattle; however, the first time we did it was in Orlando. I’ve heard that they since upgraded their facilities with new chambers so we’ll have to add this onto the list of places to check out again. I have no desire to do real skydiving (I don’t do heights); but indoor skydiving is super fun! WonderWorks: This is a fun activity for both kids and adults. It is like a science center, but with whacky and fun activities. You definitely can’t miss it as you drive down International Drive because it is the building that is sitting upside-down! Top Golf: We recently discovered the joy of Top Golf when we visited the Portland location. Brad has a few relatives who live a bit outside Orlando so it was fun to meet up with them and partake in some healthy competition. You don’t need to be a pro at golf in order to have fun here, the targets are pretty big, and a lot of times the balls will roll into them if you are a few yards short. Airboat Tour: Despite the fact that CSI:Miami is considered the “worst” of the CSI spin-offs, it was always one of my favorites. I’m pretty sure that there is an airboat featured at least once in every episode, and they are actually pretty fun to ride! We’ve done an Airboat tour a few times (both in the Lake Wales and Miami areas). These boats skim across the water and are perfect for the swamps of Florida. Just make sure to keep your mouth closed during the tour because bugs don’t necessarily get out of the way for you. These tours are a great way to see the wildlife of Florida (such as alligators) without being that tourist pulled over to the side of the road taking photos. Throughout our week, Brad and I enjoyed driving around in the Toyota Avalon. This car was great for our adventures; even with a few longer drives, and plenty of driving around town, we didn’t even go through an entire tank of gas! One of the first things I noticed when we got into the car was that it had many luxurious touches. The seats had both heated and cooled settings (we definitely used both throughout the trip, sometimes even on the same drive). Setting the seat temperature was done through an elegant knob which pressed into the center console to be out of the way when not being adjusted. These settings added to the comfort of the soft leather seats featured in the Avalon. For passengers in the back, they also have the option to add heat to their seats. The front seats of the Toyota Avalon also offered some ambient lighting which was a pleasant surprise. No need to search for the door handles or cup holders in the dark because they offered a soft glow. 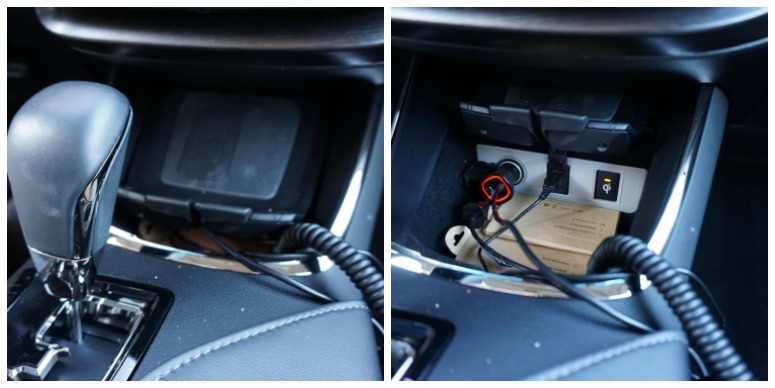 I really like how cars are adding Qi charging into their center consoles. It is so easy to simply toss our phones down there when we get in and not think about making sure we have the right car charger with us. Not all phones have Qi yet, so there are also USB and DC plugs available for standard chargers. The rear seats also had their own DC charger so multiple people can charge in the car at once. The center console of the Toyota Avalon featured a nice large screen and climate control settings. I really like the split home screen that Toyota has because I can have both navigation and music information displayed on the screen at the same time. 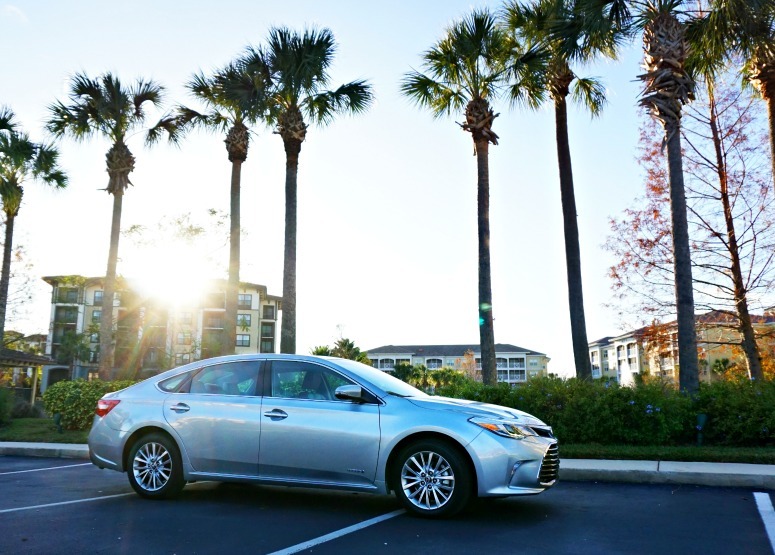 I am not one to travel light, and the Toyota Avalon had plenty of space for all of the items that I brought along to Florida. 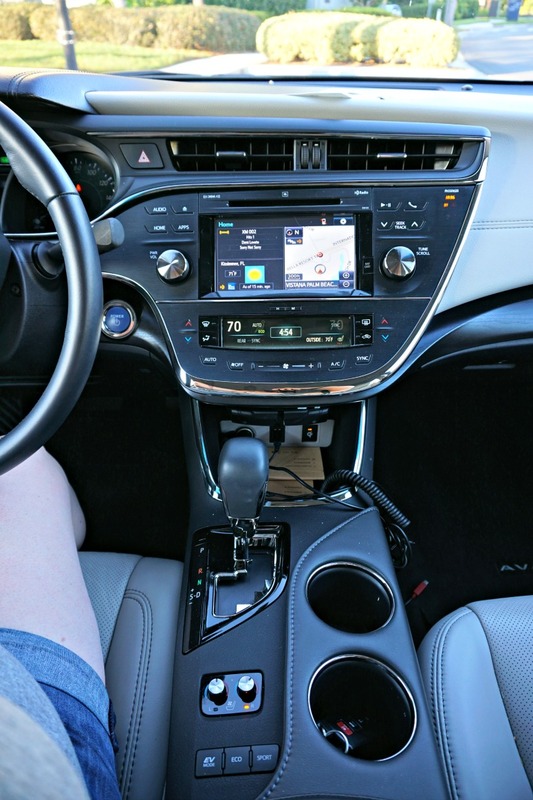 We had a great time on our trip, and the Toyota Avalon was great for getting us around town. 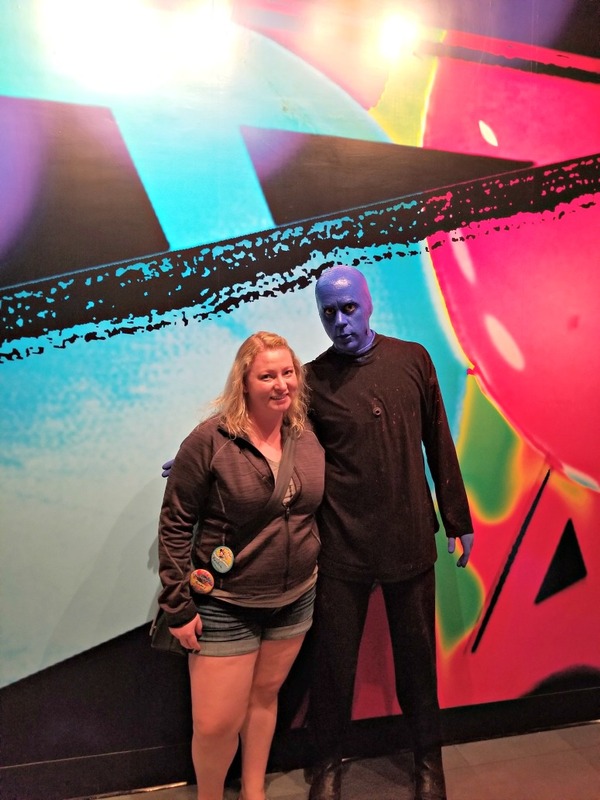 I have to admit that the Blue Man Group has always freaked me out a bit, but it does sound like fun! I’d really be into swimming with the manatees. What an awesome experience! The air boat tour sounds great, too! This sounds exactly like the kind of trip we’d take! We love going to Orlando. There’s still a few things we haven’t done from this list though. Next time! Looks like you all had a lot of fun. We love going to Orlando. I love hanging out in Orlando! I’ve always wanted to see The Blue Man Group! I have always wanted to see the Blue Man Group! Perfect! 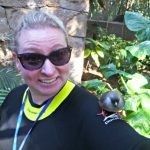 I’m not big into theme parks and it’s hard to find a guide that isn’t centered around them! We often visit Orlando too; it’s a quick 3 hour plane ride away and always so much warmer than New England! My boys love the Medieval Times dinner show. We’ve also kayaked, tubed, and traveled down many of the natural springs around the Orlando area. There really is so much to do that you don’t have to hit up all the theme parks. We’ve rented boats and went out on our own to swim with the manatees in Crystal River. It’s an amazing experience, but it’s also a solid two hour drive from Orlando, and not all the way on highways. Another amazing place to visit it Rainbow River. We would paddle up to the headwaters at the Rainbow River State Park, which is gorgeous with its waterfalls and swimming area, and once we were out of the park, we’d jump the canoe and snorkel down the river. The most beautiful crystal clear water you’ll ever see. Plus, the current carries you along. We’ve seen otters, turtles, fish, and snorkeling over 30 – 60 ft deep springs is breathtaking in itself. For those not into snorkeling, you can also float the river. It’s well worth it, but very popular with limited parking, so get there early.